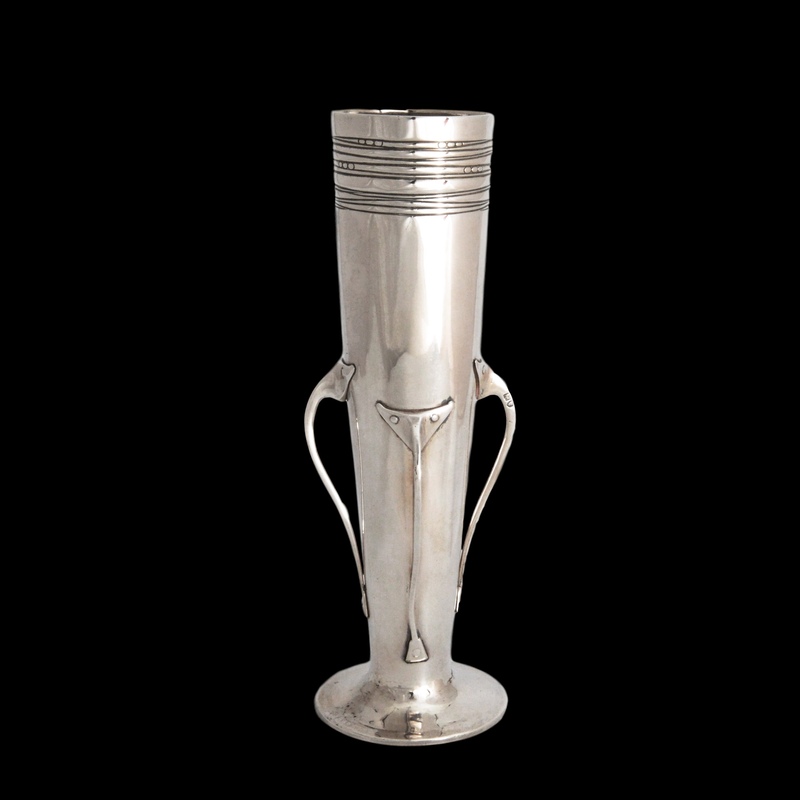 A rare Liberty & Co Cymric silver vase hallmarked London 1898, date letter “c”. This is an early design and the earliest hallmark for a Liberty & Co Cymric piece, which was launched in May 1899, just one week prior to the start of the 1899 the London assay year date letter “d”. 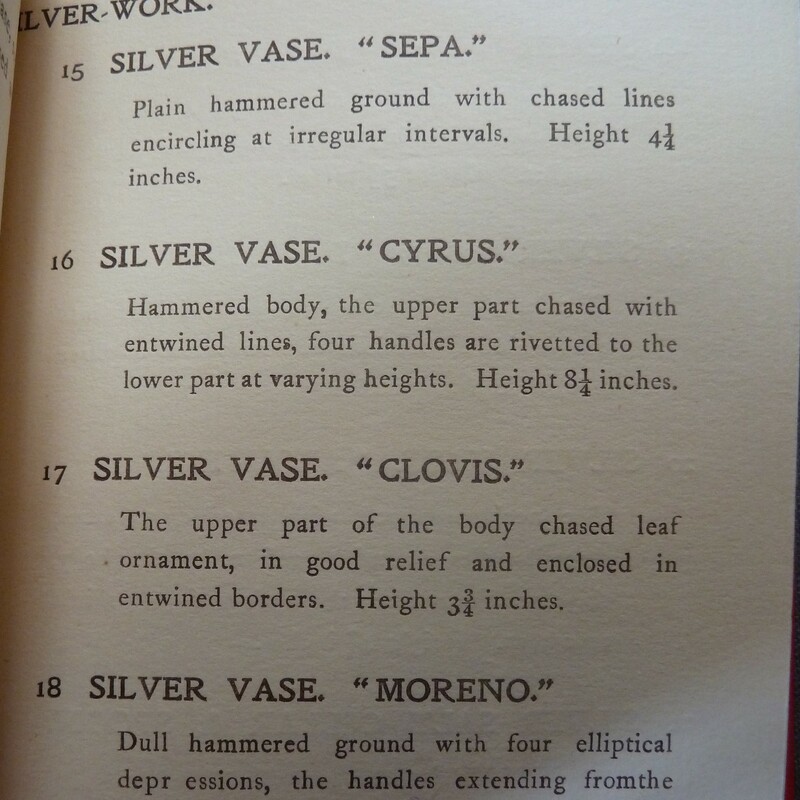 The vase is Exhibit 16, in the May 1899 Liberty Cymric catalogue, named the Cyrus (a Persian king), and appears in the slightly later illustrated Cymric catalogue as shown in the images, number 2, page 49. The original design drawing is held at the Museum of Domestic design and Architecture, Middlesex University (SD 2071). I am aware of only a handful of Cymric pieces with the date letter for 1898, one of which is in the V & A museum (ref: circ 320- 1976). The design of the vase is clearly inspired by a 13th century glass vase excavated in Kent in the Victorian period and held in the British Museum in 1899. Knox was known to have thousands of slides of historical artifacts from the British and Kensington Museums used in his teachings. 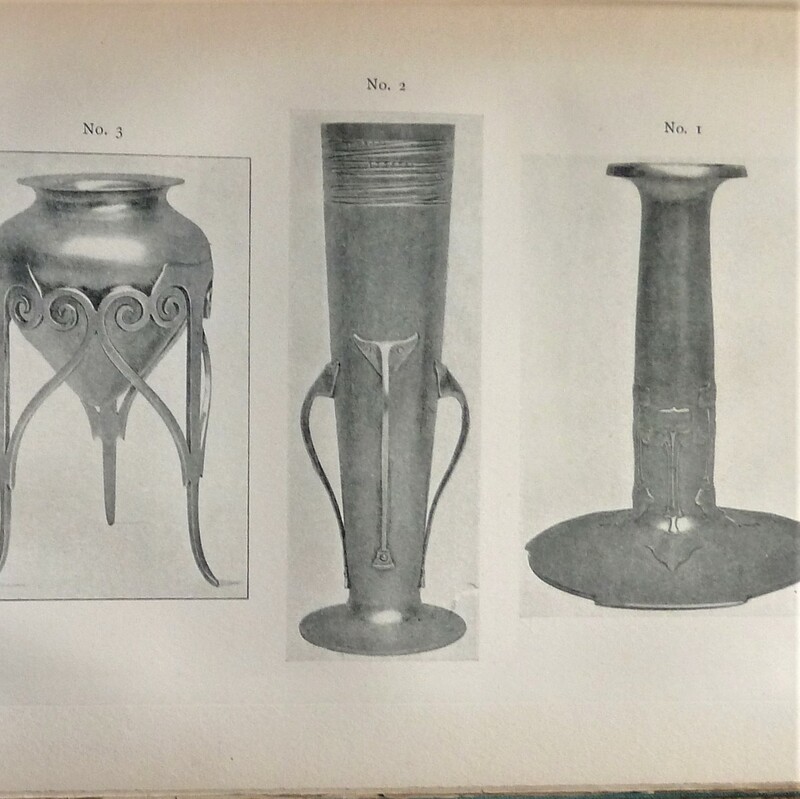 See article by myself, Anthony Bernbaum, entitled “Origins of the Liberty Cymric range” in the Archibald Knox Society Journal 2014 Volume III, Page 26. Liberty registered their new London marks in the final week of May 1899, one week before the London date letter changed to “d” for 1899/1900. Thereafter, all Liberty items of this period carry Birmingham marks. Archibald Knox earliest works at this time did not yet carry his trademark modernist style or classic celtic knots. Please see additional images.